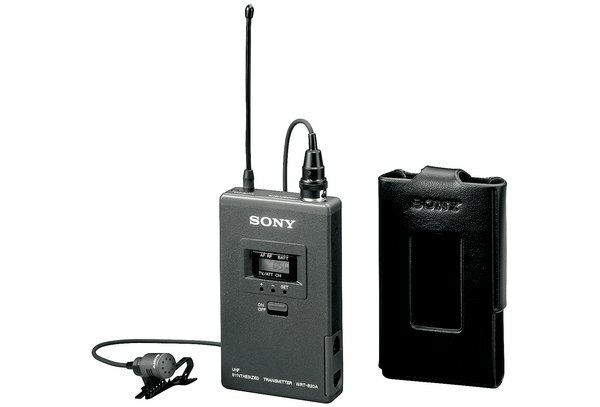 The WRT-822B UHF synthesized body-pack transmitter is the most popular choice for WL-800 series wireless mic use with Sony pro lavalier microphones. This compact and lightweight transmitter provides six hours of continuous operation with two AA-size alkaline batteries and 20mW RF power output. The WRT-822B30/32 operates over a 24 MHz frequency band, within the range of 566 MHz to 590 MHz (TV channels 30, 31, 32 and 33). 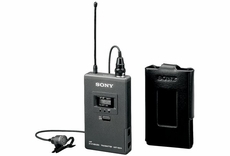 It also includes an easy-to-read LCD with comprehensive system information such as channel number, channel frequency in MHz, AF, RF, attenuator, battery status, and accumulated working time.